Cable (Nathan Summers) is a fictional character appearing in comic books published by Marvel Comics. 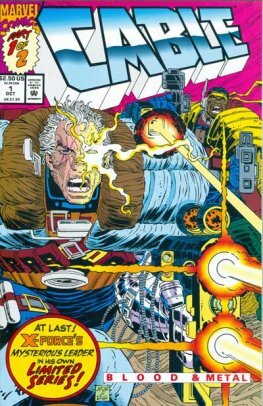 The character first appeared as Nathan Summers in Uncanny X-Men #201 (Jan. 1986) while Cable's identity was created by writer Louise Simonson and artist/co-writer Rob Liefeld and first appeared in The New Mutants #87 (March 1990). He was born in the present Marvel timeline but was sent into a distant future.